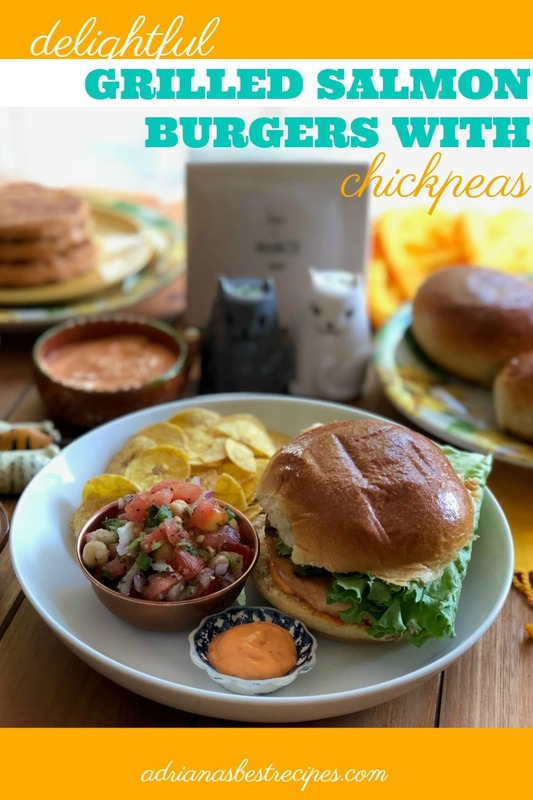 Inspired in the new Rachael Ray™ Nutrish® Longevity Chicken with Chickpeas & Salmon Recipe for Cats I have created a recipe for Grilled Salmon Burgers with Chickpeas Salsa. A dish for humans that are cat lovers! I am a pet lover and a foodie. Thus using Rachael Ray™ Nutrish® products as inspiration for a dish that is intended for us humans is a natural fit. As I have a strong bond with both my cats and my dog. And many times I find myself sharing a meal or two with them alone as I work from home and when my husband works late. I seat at the table alone for my meal and then get surrounded by my cats and dog, who make me company while I enjoy my meal. 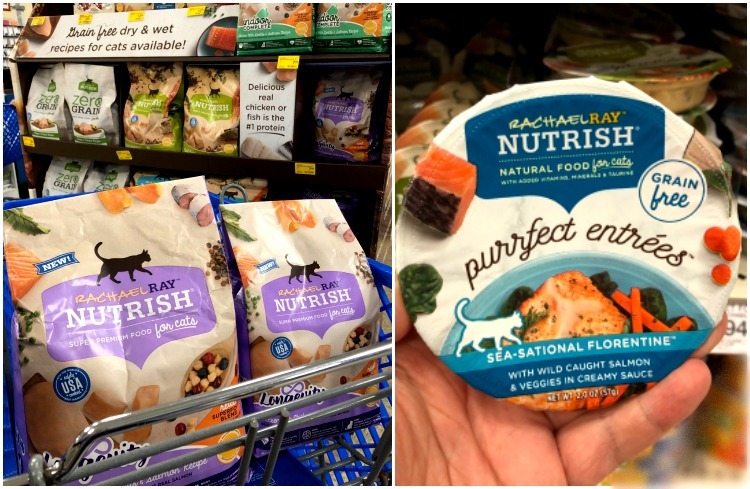 Last week, when I was shopping at the store for food I found the NEW Rachael Ray™ Nutrish® Longevity Chicken with Chickpeas & Salmon Recipe and the NEW Rachael Ray™ Nutrish® Purrfect Entrees™ Sea-Sational Florentine™ Recipe. 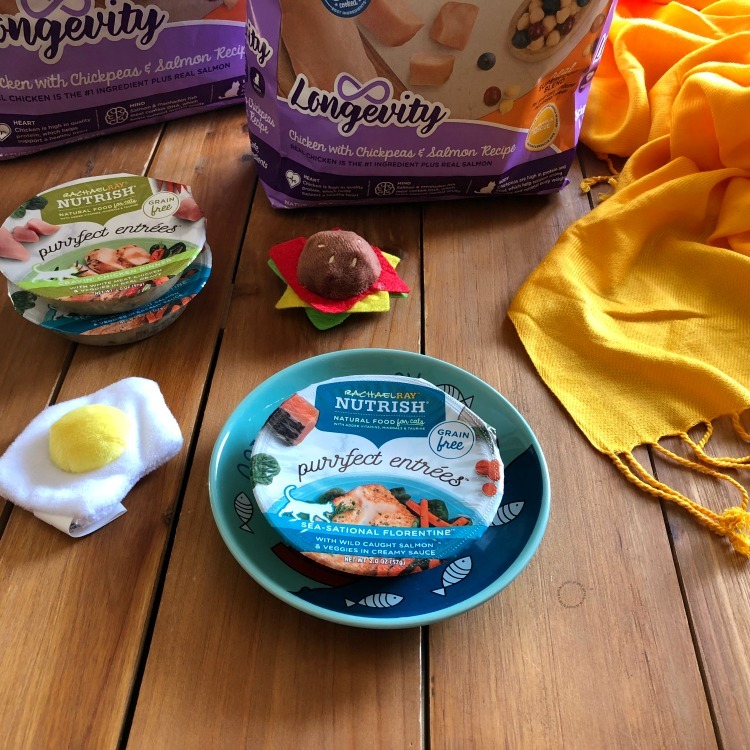 My cats love this cat food brand and decided to buy these new products for them. Click HERE and find where you can buy. This cat food is available nationwide! 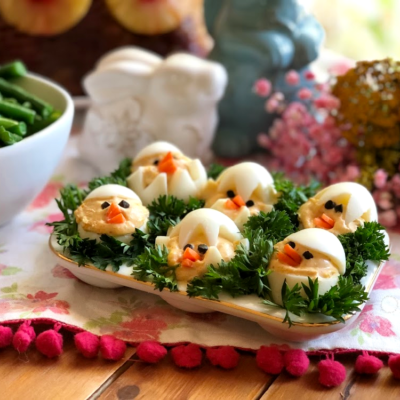 And thought would be cool to create a dish intended for humans using same flavor profile as the NEW Rachael Ray™ Nutrish® Longevity Chicken with Chickpeas & Salmon Recipe. That is how I figured making grilled salmon burgers paired with a fresh chickpeas salsa would be a perfect meal for me and my husband. Take advantage of the savings, grab the coupon HERE and make the switch! Then gradually introduce the new food to your cat by incorporating it into your current cat food over the course of 7 to 10 days. 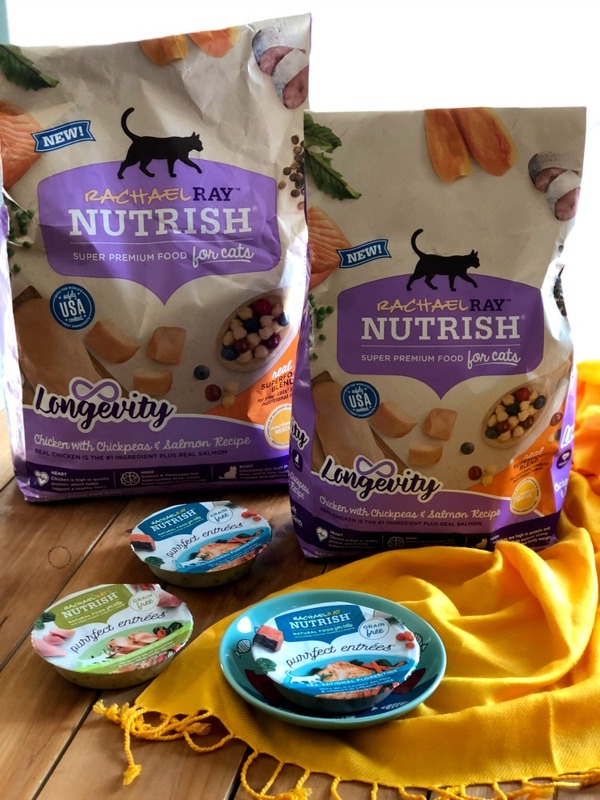 Slowly replace your cat’s current food with Rachael Ray™ Nutrish® Longevity Chicken with Chickpeas & Salmon Recipe until it’s completely switched over. Your cat will love it because it has chicken as the primary ingredient, plus real salmon. A superfood blend for lifelong nutrition with a focus on our cat’s heart, mind and body. Feeding my cats wet food it is important. And the NEW Rachael Ray™ Nutrish® Purrfect Entrees™ are grain, soy and wheat free. Made with a variety of good protein. Such as wild caught salmon, white meat chicken, or yellowfin tuna depending on the variety chosen. Then accented with tender veggies and served in cat taste approved culinary sauces to prove to be purrfect! I served my cats the Rachael Ray™ Nutrish® Purrfect Entrees™ Fin-Tastic Primavera™ Recipe. Made with real yellowfin tuna and veggies in savory sauce. With no artificial flavors, colors or preservatives. And they loved it! 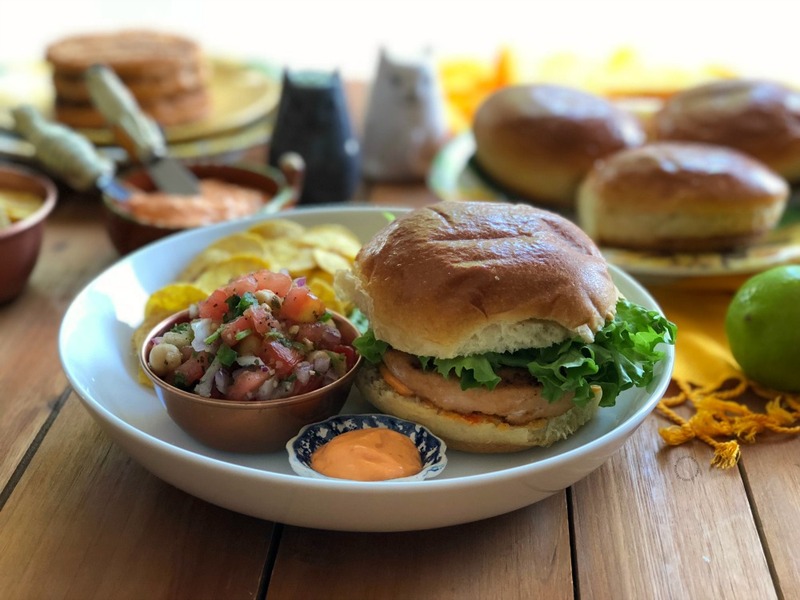 Now, are you ready to try the Grilled Salmon Burgers with Chickpeas Salsa? You will be amazed on how good this burgers are. 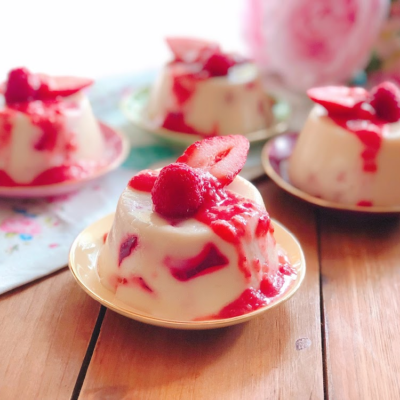 Watch the video for the step by step recipe tutorial below! 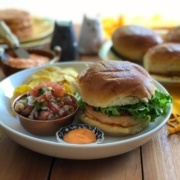 Grilled salmon burgers served on a brioche bun and paired with a fresh chickpeas salsa. fresh lettuce and a mayo harissa sauce. Optional - a side of garlic "mariquitas" (garlic plantain chips) for texture. Grill the salmon burgers stove top using a grilling pan. Warm the brioche buns in the oven for few minutes. This is an optional step. Prepare the harissa mayo sauce mixing the mayo and the harissa in a bowl. Spread some of the harissa mayo sauce to the brioche bun, add the grilled salmon burger patty. Garnish with lettuce and avocado slices. Close the burger and serve. 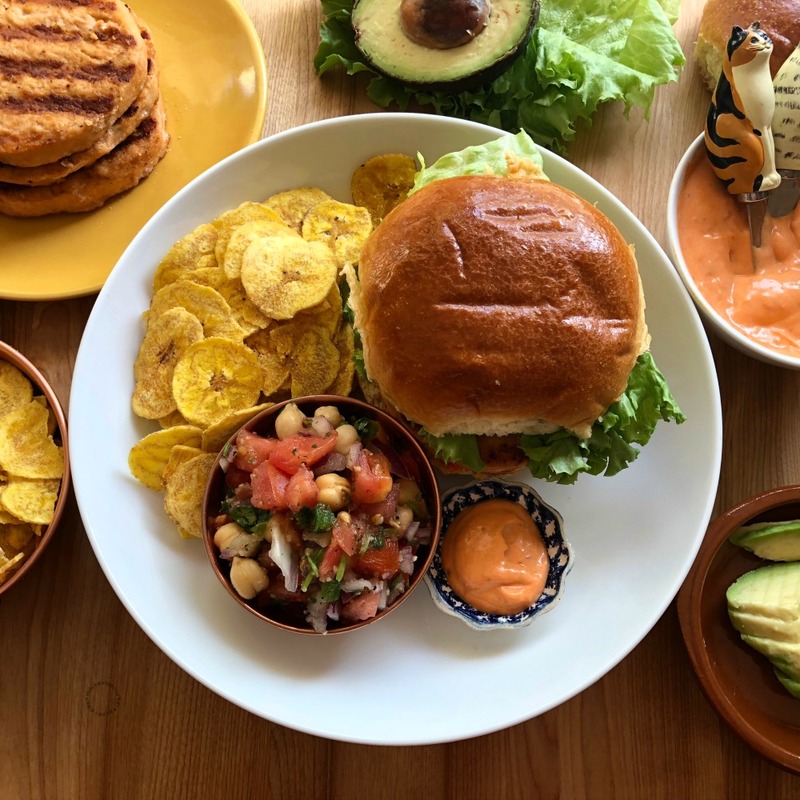 Pair the burger with fresh chickpeas salsa and garlic plantain chips (optional). Using good quality pre-made frozen burgers made with wild caught Alaskan salmon. « Fresh Chickpeas Salsa for Everything! Your cat is adorable and I love how she posed for the photo! We love Rachel Ray’s dog food at our house. This salmon burger looks super tasty! This sounds to die for! The pet food looks so high quality too, I’ll need to try this with my cat. Yum! I like salmon a lot but I haven’t had salmon burgers much. Will need to try this! I love salmon burgers! One great way to enjoy fish since we try and eat it at least once a week! Salmon burgers are so much better than beef or turkey. That salsa sounds delicious! Your cat looks to be enjoying herself! 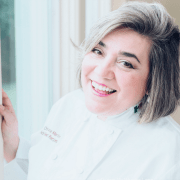 Love the sounds of this recipe! I love that his recipe was inspired by cat food! The chickpea salsa is such a clever way to use chickpeas. I can’t wait to try it! These burgers look amazing! What a unique combo- salmon and chickpeas! Burger night just got way better! These sound so good and sound pretty simple which is always great! I have never had salmon burgers before. We eat a lot of wild salmon but not in burger form. That salsa looks so delicious too. 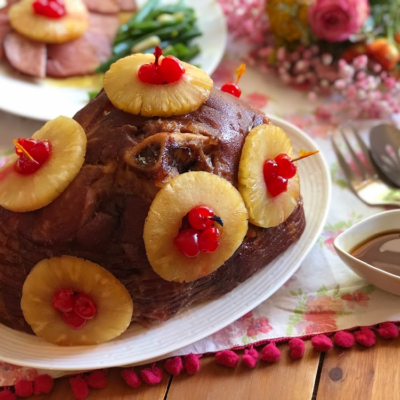 This is the first time I have seen someone come up with a recipe inspired by a cat food! But it sounds good.. we’ll have to add it to my hubby’s salmon repertoire. Oooo that chIckpea salsa soundscape delicious!!! I’ve never had that before but I definitely want to try it. Being a great pet owner means they eat as well as you do. But when you’re feeding your pets Rachael Ray, we’ve got to strive to eat as well as the cats! Your grilled salmon burgers sound delightful. I do think I’m going to have to double that chickpea salsa recipe though. I’m going to want it on everything. I have always wanted to try salmon burgers, this recipe looks insanely delicious. 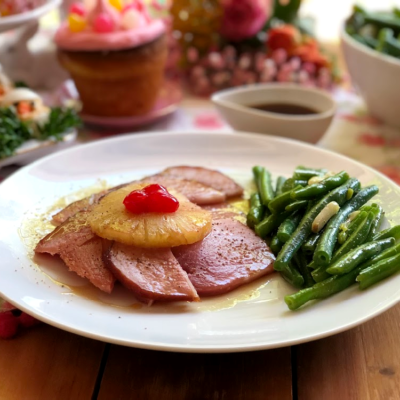 Thanks for the coupon and the recipe! 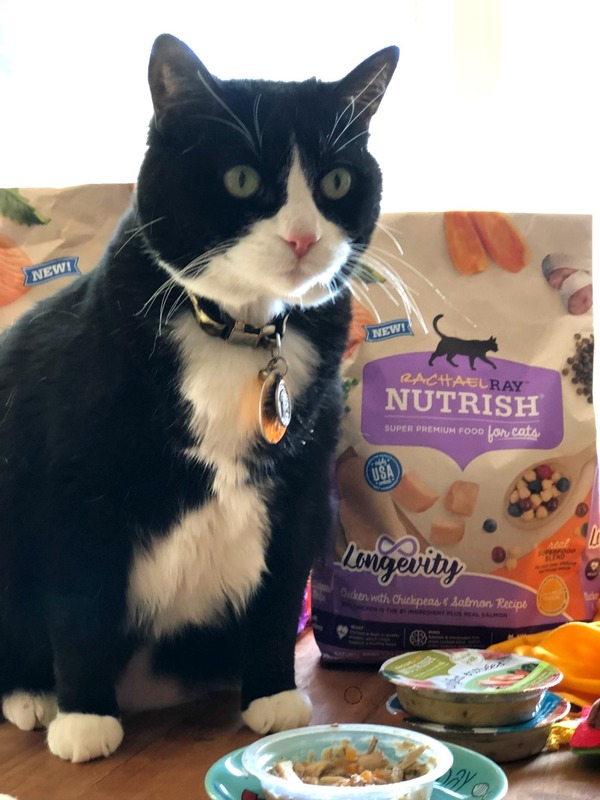 My kitty loves Nutrish! I am not a huge fan of Salmon, but the chickpea salsa sounds pretty good. I really like eating chips and salsa. Awe how cute. I love that your fur baby eats as good as you do. Our fur babies are spoiled rotten for sure. Sounds like a great product for cats. I love that the main ingredient is chicken, not something random. your recipes always look so tasty, I have seen so many ppl rave about chickpea salsa that I think it is time that I give it a try myself. Oh my reading this post has made me feel hungry! Your food looks fab and very yummy indeed. The chickpea salsa would be great to take to cookouts! Those burgers look good. I don’t really like salmon, but with avocado and a brioche bun….I might be able to do it! Super cute kitty, we had one like that names boots! Ok I love how you set up this post for cats and humans, smart idea! These salmon burgers are ideal for me since I recently cut out red meat. And I love the blend of the salsa. Great video as well! I have heard really great things about the Rachel Ray pet food line and how cute that you made a people dish to go with! The recipe sounds delish. Rime for me to fire up the BBQ and try it out! such an interesting concept! The burger looks tasty. Great recipe idea – love chickpeas for both taste and health so this is perfect! Love this! I’m buying the Longevity Chicken with Chickpeas & Salmon Recipe for my cat and making the burgers so the cat and I can have dinner together. 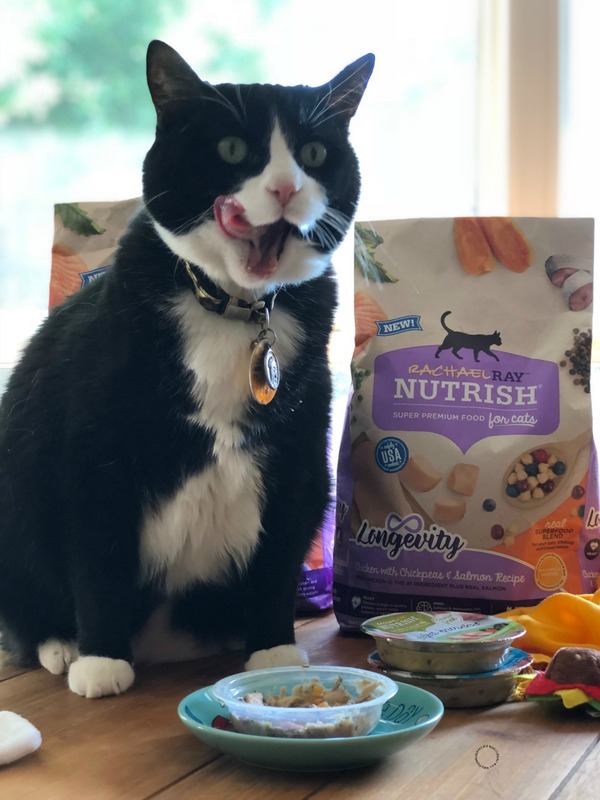 I really love the photo of your cat licking her lips, Nutrish should use that photo for their add. This looks like such a good salmon burger! I love that you got the idea from the cat food for the flavor combination. I have two dogs and we are very mindful of what we give them. I want the best for my kids and my dogs to stay healthy. I love how you were inspired by Nutrish! 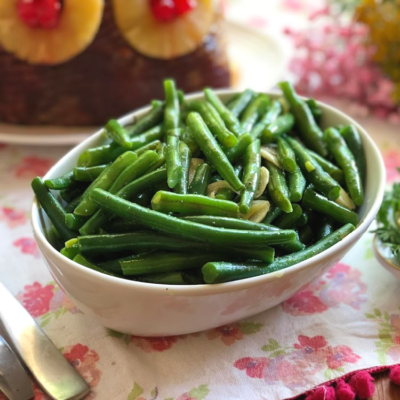 This looks like a great summer dish that can be made on the grill. Chickpeas in a salsa are new to me, but I can’t wait to try it!